Have you ever longed, when one of your loved ones was sick, to reach out your hand and bring healing to that person? 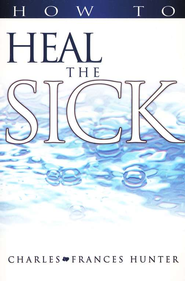 What you, as a Christian, need to know is that the Holy Spirit within you is ready to heal the sick! This was the textbook for the first healing class I ever took: MC510 with John Wimber. This is the book that started the whole thing.